In her long reign Her Majesty The Queen has marked Silver, Golden and Diamond Jubilees and the country has celebrated with her each time. The parties and parades, the general public ceremonies and personal festivities in homes across Britain become part of many delighted memories. 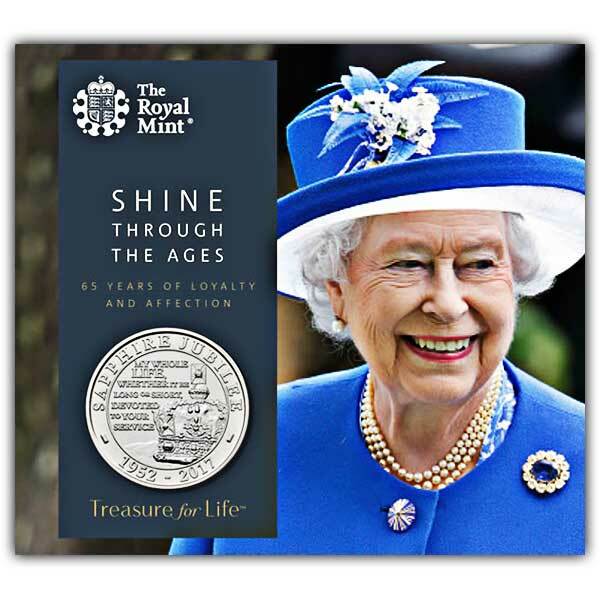 Official jubilee coins are essential mementoes of these special times and as The Queen reaches an unmatched milestone of 65 years on the throne - the first and only British Monarch to commemorate a Sapphire Jubilee - The Royal Mint has created an official UK coin to mark the occasion. 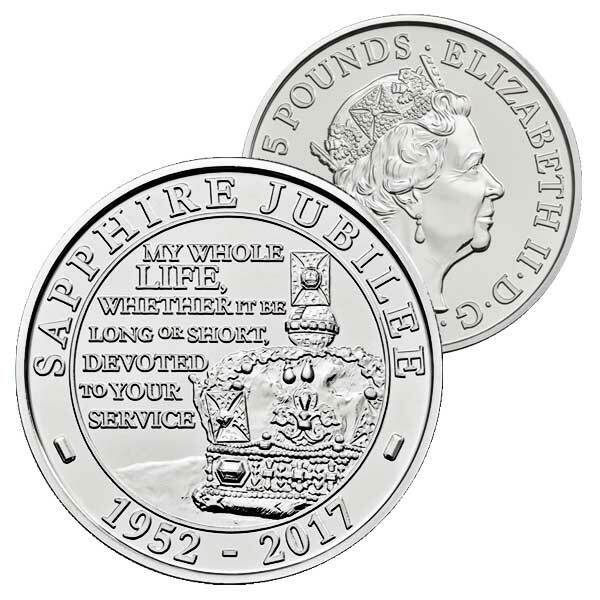 The Sapphire Jubilee ₤5 coin is offered struck to Brilliant Uncirculated standard and is presented in a screen folder filled with memories and observations, produced with the help of once BBC Royal Correspondent, Jennie Bond. Brilliant product and super service. Will definitely purchase again. I registered to get an alert for a particular coin, not only was the alert picked up rapidly; the item I wanted was despatched in record time. Very impressed!